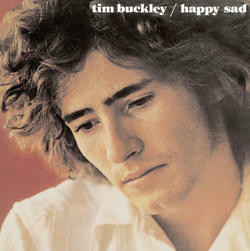 One of the best albums of the late '60s and Tim Buckley's most underrated album, "Happy Sad" was a change-up pitch for the eclectic L.A. singer/songwriter. Sounding like Fred Neil's albums, Buckley and his small, acoustic-based ensemble create beautiful, jazz tinged folk-rock. On red vinyl.